Learn the ancient arts of ‘Kapa Stamping’ and ‘Coconut Husking’. Discover local artisans sharing hand-crafted treasures. Watch the amazing history of Hawaii Island unfold with pulsating drums and blazing flames. Order a refreshing Mai Tai (or Keiki cocktail for the kids) and enjoy the luau show! 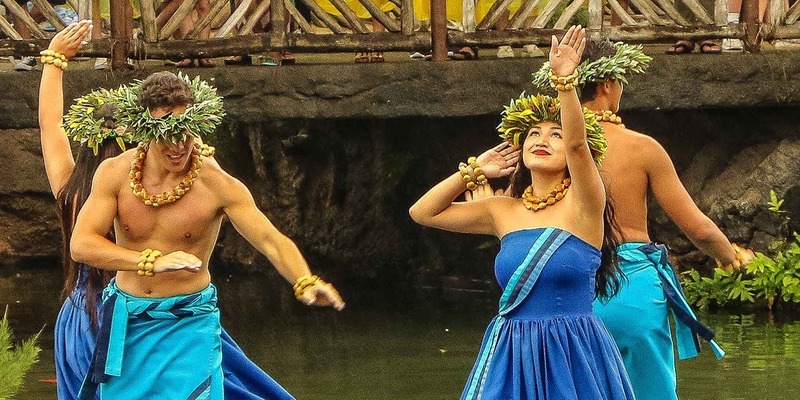 7:00pm: Legends of Hawaii Show-The main event with Polynesian music, drums and dancing! 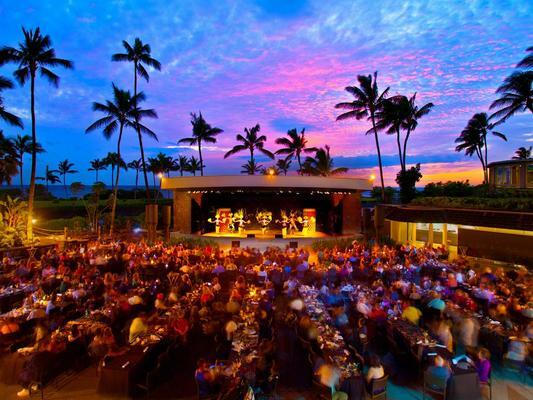 The Legends of Hawaii Luau is available on Tuesdays, Fridays and Sundays at 5:30pm in Kamehameha Court at our oceanfront resort – Hilton Waikoloa Village, on the Kohala Coast of Hawaii, Big Island. Discover local artisans sharing hand-crafted treasures. 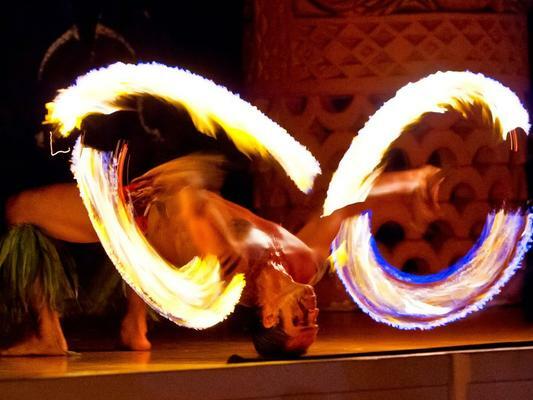 Watch the amazing history of Hawaii Island unfold with pulsating drums and blazing flames. Order a refreshing Mai Tai (or Keiki cocktail for the kids) and enjoy the show! How long does a luau last? It depends on which luau you choose but most start around 5pm and end sometime around 7:30 to 9 pm. What is Poi and should I eat it? Poi is made from the taro root which is cooked and pounded into a paste. 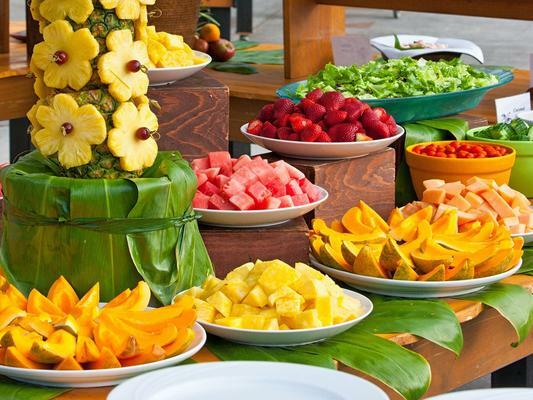 It is a super food and has been a staple of the polynesian people for centuries. It may seem bland at first but it is quite good especially if mixed with lomi lomi salmon, pineapple or smoked fish (a local favorite combo). Are cameras and video allowed at a luau? Yes. For certain portions of the show they may ask you to refrain from using a flash for the safety of the performers. Bring a fast (low f stop) lens for low light photography. Do I need to bring money to the luau? Having some cash on hand is great as you may want to tip your servers or bartenders. Some luaus have local artisans with Hawaiian gifts and crafts. Most luaus also offer photos of you taken as you enter the grounds for sale as a keepsake.